I am especially thrilled to introduce this month’s treasure, as I was one the many who worked on this wonderful project. This is a collaboration between the Picture Collection of The New York Public Library and FIT’s Special Collections. 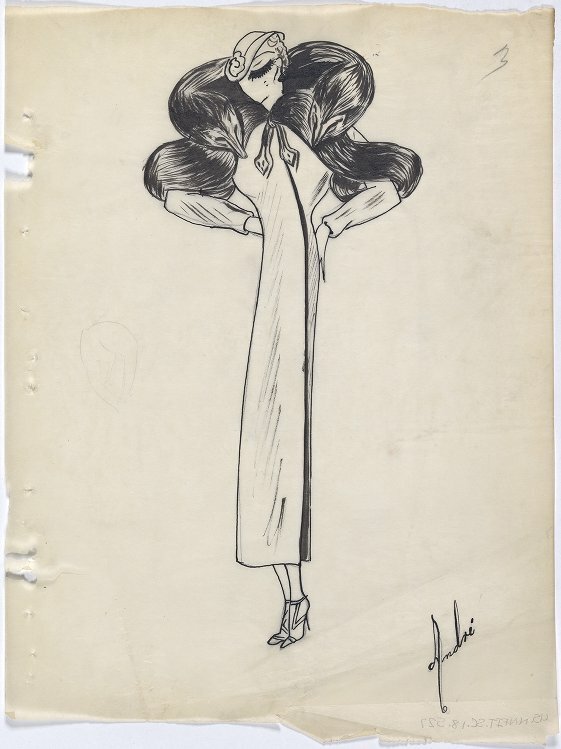 It consists of a vast collection of original, hand-colored fashion illustrations from André Studios, a design studio that sold fashion sketches to clothing manufacturers in the US and Canada. From 1930 through the early 1970s they produced about 20 sketches weekly, mostly of children’s coats, and ladies coats and suits. The first decade of the company is showcased on a website that was recently launched. 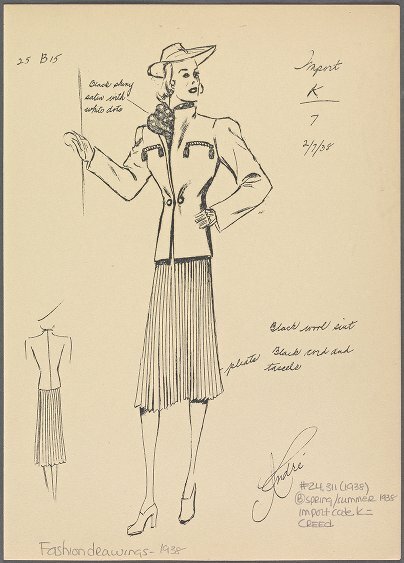 The digitized sketches are searchable by subject (for example collar, pleats, dress, etc.) or by collection (FIT or NYPL). Below is just a small taste of what you should expect to find when you browse this terrific site. The site explains that André Studios was a sketch subscription service for garment industry professionals, with offices located at 570 Seventh Avenue in New York City. The company was founded by designer Pearl Levy and her business partner, salesman Leonard Schwartzbach, sometime during the year 1930. 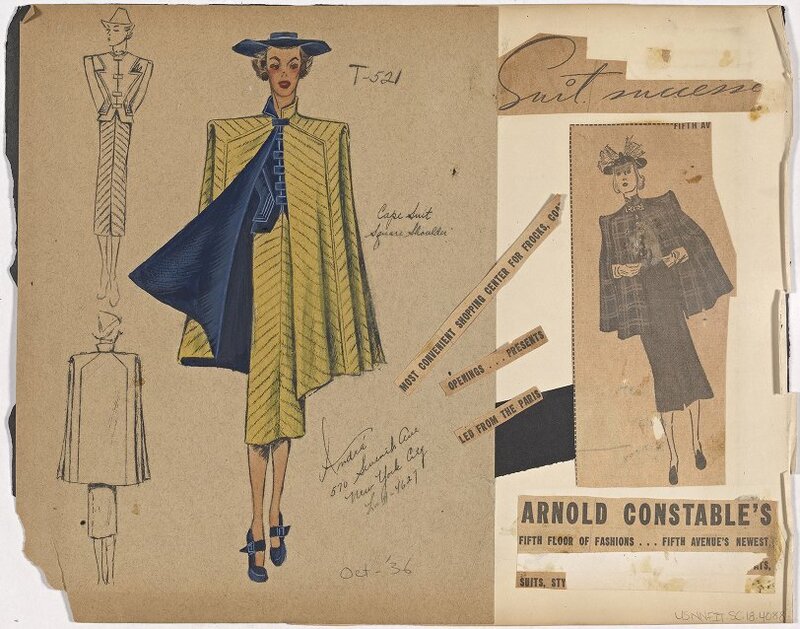 André Studios was one of the many design services that copied or adapted existing designs, especially of couture models from Paris. The volume of the collection of André Studios sketches reveals how a whole industry operated in NY, and underlines the dependence of the American market on Paris imports, pre- World War II. The collection is a major primary source for students, scholars and researches of fashion history in general, and of the American garment industry in particular. 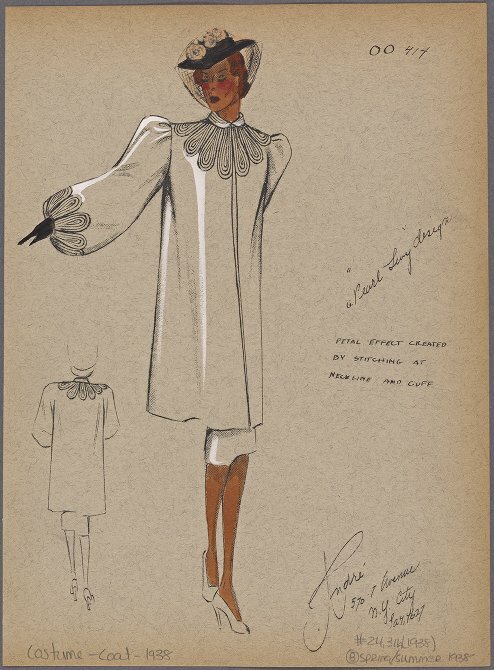 If you wish to learn more about André Studios, the growing NY garment industry in the 1920s and 30s, and the copying of Paris couture models, the website offers this fascinating paper. Coat with triangle buttons.Designer:Pearl levy Alexander.Winter 1934. André Fashion Illustrations from FIT's Special Collections. 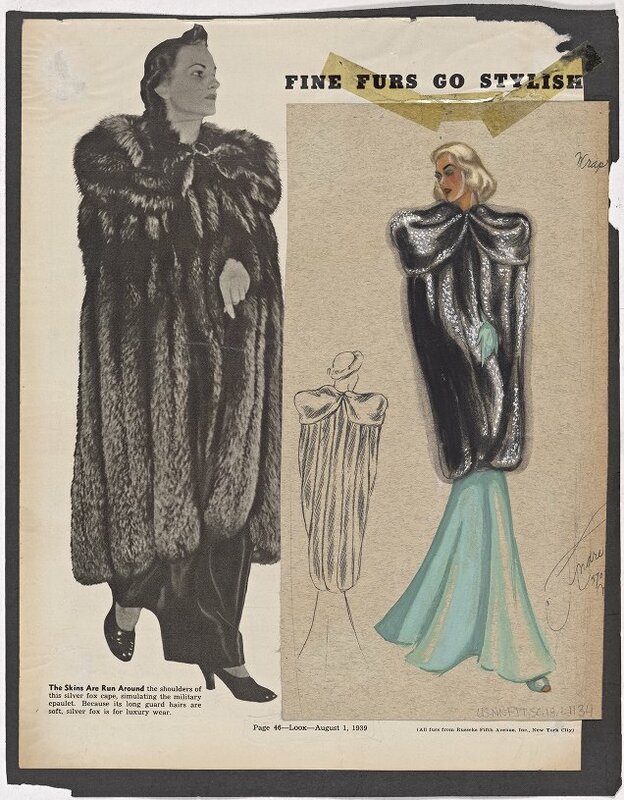 This entry was posted in Research, Treasure of the Month and tagged 1930s fashion, 1940s fashion, André Studios, creed, fashion illustrations, fashion sketches, garment district, Haute Couture, History of Fashion, NYPL, Pearl Levy Alexander, Special Collections. Bookmark the permalink. Gorgeous! 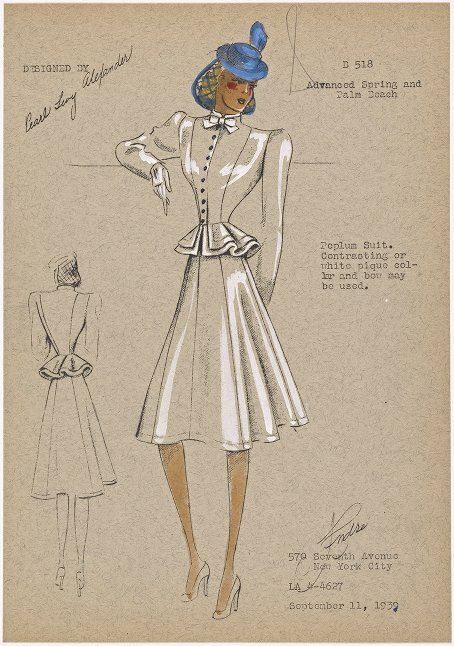 I wonder if you’ve ever noticed the similarity in style between these sketches and costume design sketches from the same time (check out the ones in LACMA’s collection). Thanks so much for sharing. Thanks for your comment, Heather. One of the interesting things about this collection is that it documents not only the work of the Studios but also of most major European houses at that time, in some cases it is the only existing record of models that were created in these years.